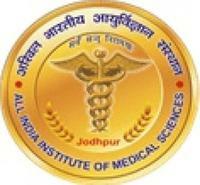 AIIMS Jodhpur Jobs Recruitment Notification 2019.ALL India Institute of Medical Sciences (Jodhpur) inviting applications for the positions of Group B & C jobs namely Yoga Instructor, Assistant Engineer, Junior Engineer, Office Assistant, Private Secretary, Personal Assistant, Stenographer and other jobs.Interested and Eligible candidates can apply for the positions. 110 empty positions are to be filled on AIIMS Jodhpur through direct recruitment basis. 10+2/12th/ Diploma/Degree/ B.Tech/ Bachelor degree holders in relevant discipline can apply for above Group B and C Jobs. In the pay scale levels 4, 6, 7 contenders will get monthly remuneration. Through written examination the recruitment of participants will be done. Mode of applying for AIIMS Jodhpur Group B & C Recruitment 2019 through ONLINE. 23rd April 2019 is the last date for submission of applications. Click on the link https://www.aiimsjodhpur.edu.in/TCS/Direct_Recruitment/ to apply directly.